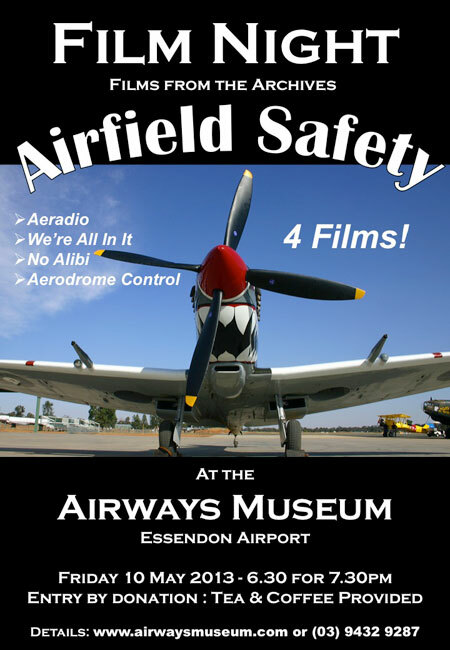 Historical aviation films from the Civil Aviation Historical Society's archive will be shown in our first Film Night for 2013 at the Airways Museum. Setting up Aeradio stations around Australia. B+W, 18 min. Accident prevention and Air Traffic Control. B+W, 23 mins. Similar premise to Film 2 but entirely different. Many 'expendable' aircraft shown in airfield accidents - Oxford, Mossie, Spitfires (various) etc. B+W, 21 min. Lots of light aircraft and civil airliners of the period depicted. Covers all aspects of Tower and local airspace control. American but even has a Viscount! Col., 20 min.